David Ross Stoddart died on 23 November 2014. Recipient of the Society’s Ness Award (1965) and the Founder’s Gold Medal (1979), he was a member of the Department of Geography at Cambridge between 1956 and 1988. David was an outstanding advocate for geography within the natural sciences; an exceptional leader of multi-disciplinary international expeditions; and a commanding, effective (and amusing) lecturer. 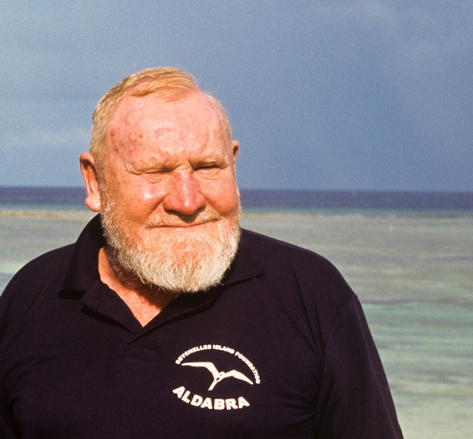 David made significant contributions to methodology and philosophy in geography; coral reef and wetland geomorphology and ecology; ocean basin biogeography; and the history of coral reef science. He also made notable contributions to island conservation, most particularly in the saving of the raised limestone atoll of the now World Heritage Site-designated Aldabra Atoll, S.W. Indian Ocean. David Stoddart OBE. Reproduced with kind permission of the Seychelles Island Foundation.